I once did a bad thing when my kids were younger and I was trying to keep them motivated on a hike in the Blue Ridge Mountains. I jokingly told them that there was a snack bar at the top of the mountain we were climbing to keep them going to the top. It was an act of desperation to stem the whining, and while they got plenty of food from the backpack at the top, I was nonetheless barely forgiven for getting their hopes up for a store-bought treat on the peak. So imagine how hard it was to convince them I wasn’t kidding the first time I did take them on a mountain hike with a real live snack bar at the top. As we slogged up the side of Mount Mitchell in North Carolina, I got well deserved skeptical looks with my promises of ice cream and fountain soda at the top. But in fact, there is a snack bar at the top of North Carolina’s highest peak, and it began a fun tradition of looking for scenic, kid-friendly hikes that involve a snack bar along the route. For adults the promise of scenic views, rocky peaks, and secluded streams are motivation enough to embark on a good day hike. But I have found for young kids, nothing keeps a hiking crew moving more than the promise of an ice cream cone or hot chocolate break along the way. Surprisingly, we have found many options around the country that have both. Mount Mitchell is probably our favorite East Coast “Snack Bar Hike”. Parking at the ranger station 2 miles before the parking lot and snack bar at the peak not only gives you a good strenuous hike to earn your ice cream reward, but you also earn that air of superiority you will surely show off as you pop out of the trail and mingle among those visitors who drove to the parking lot at the top of the peak. The hike itself is a gorgeous walk through a high-elevation pine forest and with a extension along the “Commissary Trail“, you get an almost constant view of the mountains and valleys below. 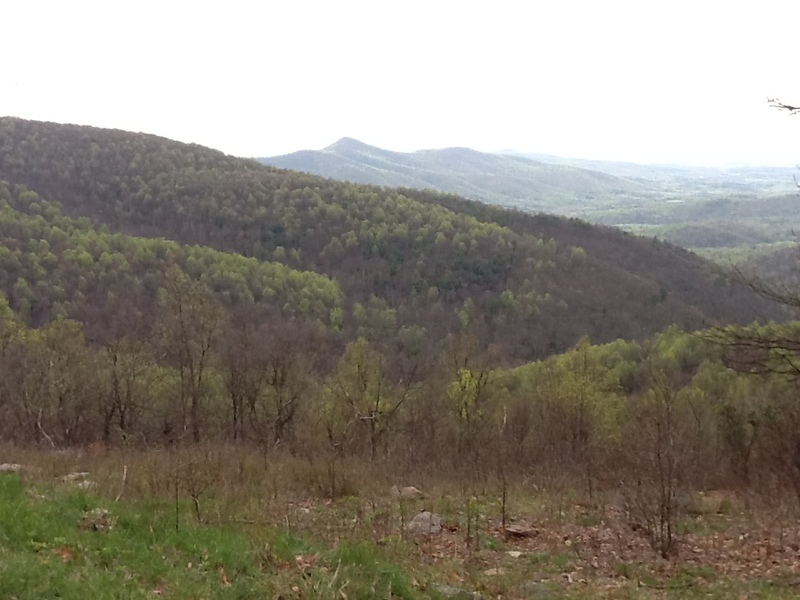 Further north in Virginia is Elkwallow trail at mile marker 22 on Skyline Drive in Virginia which, if done as a Circut hike through Elkwallow Wayside 2 miles away, puts the campground store and snack bar half way through the route. Out West, we found the snack bar and gift shop at the top of the Ute Trail in Rocky Mountain National Park in Colorado was exactly the motivation we needed to keep a 10 year old moving along this stunning high-altitude, open meadow hike. Even the approaching Elk and scampering Marmots couldn’t compete with the promise of a cheeseburger at the top of the trail. This entry was posted in North Carolina, Virginia, Western Hikes and tagged Hiking with Kids, Mt. Mitchell, Ute Trail. Bookmark the permalink. 2 Responses to Snack Bar Hikes? It works on adults too. My hiking club often combines hikes with culinary rewards. When our leaders go out to scout a hike we are always looking for great places to socialize after the hike, usually involving sweets or beer. We have a bakery in the Delaware Water Gap that has the best selection of pies you will ever find, another near French Creek that has the best lemon bars I have ever tasted and an ice cream parlor in Hamburg that offers ice cream brownie pizza! Our hikes with treats are some of our most popular hikes. While living in Japan I hiked Mount Fuji once. To my surprise at the top was a snack bar, gift shop, of course vending machines and a post office for those post cards to be sent with a very special postmark. 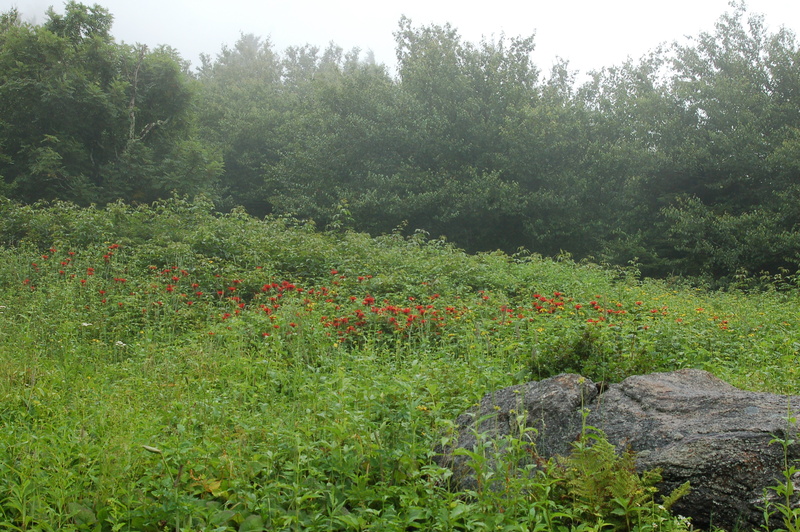 From another entry, I grew up near Grayson Highlands, I love that park very much too.